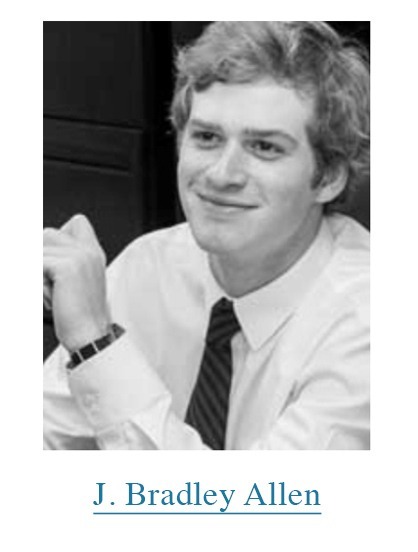 Established in 2016 by the Allen family of Greenwich, CT in memory of their son, J. Bradley Allen (1994-2014), the Allen Research Endowment is a nonpartisan 501(c)(3) tax-exempt nonprofit organization. Its mission is to save lives of persons with Opioid-related addiction and other Complex diseases through a comprehensive approach focused on the development of new medical technologies, faith-based education and public policy. The founders believe that many current treatments are inadequate for Opioid-related addiction and other Complex diseases. Further, based on faith-based research as practiced by Edward H. Morgan, President Emeritus of the Bowery Mission in New York City, patients that completed addiction treatment programs – often relapsed, unless they had a spiritual belief in the purpose of their life. The founder’s believe that a patient’s spiritual belief may be in the form of either organized religion such as Christianity, Islam, Judaism and Hinduism or individual philosophy. Complex diseases are believed to be caused by a combination of genetic, environmental and neurological factors, many of which have not been identified or solved by the medical community. Complex diseases include Addictions, Manic Depression, Alzheimers, Dementia, Asthma, Diabetes, Epilepsy, Hypertension, Scleroderma, Parkinson’s, Kidney and Autoimmune. Certain Complex diseases are also Orphan diseases – which are conditions that affect fewer than 200,000 people in the U.S. and include Cystic Fibrosis, Lou Gehrig’s disease and Tourettes Syndrome. In general, pharmaceutical companies allocate few resources to drug development for Orphan diseases. The majority of Allen Research Endowment’s time and effort will be allocated to identifying, analyzing and if approved, making investments in companies that seek to develop medical technologies to address Opioid-related addiction and other Complex diseases. In general, such companies lack sufficient capital to further their research. Our effort will require upfront and ongoing funding for due diligence, monitoring and collaborations for the companies as well as for publishing our research and making education available to medical professionals, caregivers, patients, citizens and persons that create public policy. Please see important Charity Disclosures.